How To Choose National Moving Company? The May is coming, and you probably didn’t know that it’s the busiest time of the year when it comes to moving to new homes. Yes, people choose the beautiful spring as the perfect time for moving. When we think about, it seems logical that people enjoy moving when nature goes through change. However, there are certain things that you should have in mind before you start packing. Moving is not that simple, especially if you want to find nationwide movers, such as 9kilo.com, to take you to another country. You have to pack, plan, and move and at the same time to manage the house in another country. It is time-consuming work that requires professionals on your side. When you type: “moving company,” you will find hundreds of different services, but still, the challenge lies ahead of you. The idea is to choose the movers you can trust, the ones that will protect your belongings and follow the deadlines and time management. The first and main factor in choosing the best moving company is to check their reputation. When a company has the reputation, it will save you both money and time. At the same time, when someone has a good opinion of any company, he wouldn’t have it if they have to overpay. Therefore, stable and good reputation means more affordable moving company. The question is: How can you trust anyone with your possessions? The best way to do it is to ask important questions that will provide you with enough knowledge to create an opinion. On the other hand, it is important to find people around you, neighbors that had experience as well as friends and family. How Long The Company Has Been In The Business – The records of accomplishment, as well as experience, will show you their ability to deliver everything promptly and without too much hassle. Tell them about the pieces of furniture that you particularly love and whether they have the experience in moving them. You don’t want to give them access to your emotional belongings without knowing their experience. Do they have a license? – If you want to find a moving company that has the service that includes moving from state to state, or from nation to nation, you should consider finding one with USDOT number. This particular license is essential because it will ensure you that driver is eligible to move your belongings without any problem. You can also search the database by using the DOT number to check whether they’re telling the truth. For more information on USDOT regulations check here. What about insurance? – We recommend you always to check the website and the part where they talk about insurance and license number. These are two most important considerations – insurance and license number. You probably agree that it is not a great idea to let an unlicensed teenager drive a semi-truck. On the other hand, there are numerous unlicensed driving companies and a group of people who work that as the side job. You should also cover your items during the moving by using renters or homeowner’s policy. Are there any accolades or rewards for their services? – Great reputation also means a wide array of accolades and rewards for their services. That could be a positive review from previous user or letter of recommendation that would give you better insight into their working policies. Are there any online reviews? – You should also check different websites to find their rankings and reviews. Numerous social media sites will provide you enough information to conclude with whom you want to do an interview. Will they follow the deadline? 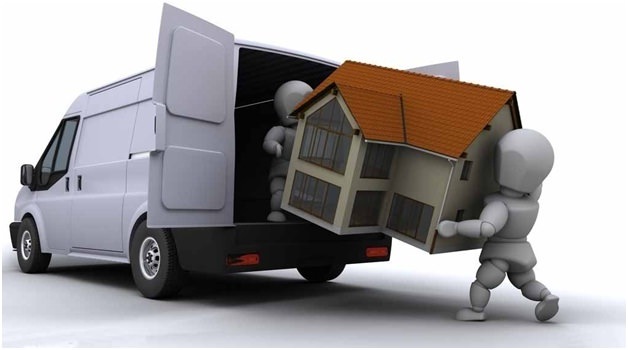 – Long distance moves could always vary, and you don’t want to reach the house you want to move in and to wait for a whole week to get your furniture and belongings. That is why you should check the delivery schedule and notify them that the deadline is essential for you. It is better to know upfront about their policies when it comes to moving to other states because each company works differently. Will they protect and wrap your furniture to reduce the possibility of damages? – Finally, the main reason why you choose the moving company and professionals in the first place is to get the high quality moving without damaging furniture and belongings. You should also ask how many movers will work, how long it will take and whether you will have to pay the overtime. Most companies will provide you free inspection and estimation so that you can get the answer to this question. However, some of them will charge you for inspection, so you should check before it gets too late. We have presented you the most important questions that you should ask the moving company before you decide which one is the best for your preferences. At the same time, have in mind that you should talk with at least three companies before you make a decision. That way, you will reduce the hassle of getting something wrong and you will have a greater insight into all factors that are important. Still, the questions that we have mentioned above will help you make up your mind.